Social networks, contagion processes and the spreading of infectious disease. 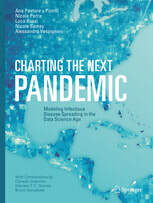 The spreading of infectious diseases in modern socio-technical systems. PLoS Currents Influenza, 2009 Nov 18:RRN1129.